Used for surface grinding , they can be made into different shapes as per the requirement . Manufacturered in a variety of shapes and sizes as per the requirement . Enriched by our vast industrial experience in this business, we are indulged in offering an enormous quality range of Saw Gumming Wheel. We are engaged in offering Industrial Saw Gumming Wheel. Our experience in the industry has enabled us to offer high quality Saw Gumming Wheels that are is engineered for giving high performance. The manufacturers from which we obtain these wheels use the most superior material in fabrication process. Besides, we provide these wheels in various sizes and shape that suit the requirement of different applications. We are reckoned trader of Saw Gumming Wheels that are procured from established market vendors. Available in brown aluminum oxide model, our range is used for sharpening and re-sharpening of various types of saws. Furthermore, these products can be modified as per the specifications mentioned by our clients. Saw Gumming Grinding Wheel are used to shape and re-sharpen various types of saws, primarily in the timber and woodworking industries. An important constituent of the Compass Brand Chadi Chap family, these wheels have been pre-engineered for economy and performance. Primarily used for sharpening and re-sharpening of various types of saws. 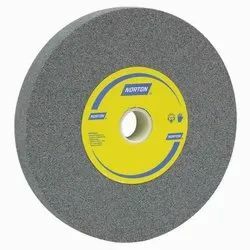 This is very famous Norton compass brand Grinding wheel which use to sharp different blades.